Well hello there, friends! I hope the end of spring is treating you well. It’s gorgeous (if not a little hot) here in New England, and I’m so thrilled to just have the chance to be outside these days. I’ve been heading out on long and leisurely walks nearly every day with the pup. This month has been full of adventure, and I wanted to mention one of the big projects that I’ve been working on! One of my greatest passions is to work with women on self-care, personal, and leadership development. It’s tied deeply to the values that were instilled in me through my education at Wellesley, and over the past few years I’ve been searching out more concrete opportunities to do so. 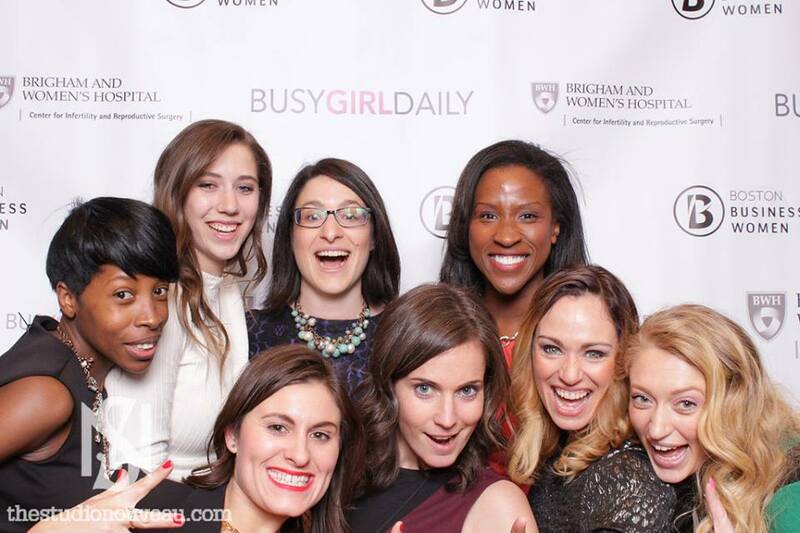 To that end, I’ve been serving on the board of the Wellesley College Alumnae of Boston, and a few months ago took a role as technology director on the leadership team of the Boston Business Women. Our team created and produced a sold out thousand person conference a few weeks ago! It’s been keeping me busy! 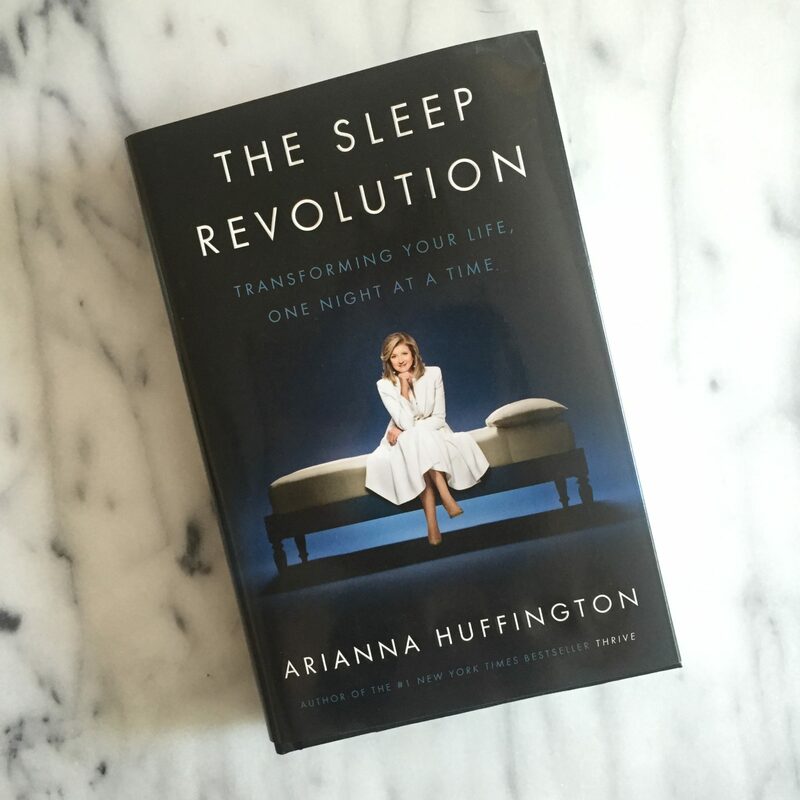 Our keynote speaker was Arianna Huffington, who is leading a campaign for better sleep – a topic near and dear to my heart. I took home a signed copy of her book The Sleep Revolution and have been reading it this week. It’s full of case studies and scientific research on why sleep is so important. I’m always looking for new sleep routine recommendations to share with my wellness clients – getting sleep down is one of the best ways to support overall health. It was a complete privilege to hear Arianna speak – but even more special to see her interact with everyone at the conference. She was kind, gracious, and completely down to earth. She was also rocking a classic and stunning fitted and flared pale pink dress with matching tan pumps and purse, and I picked up some new style goals from seeing her outfit. The woman can dress. It has been a complete thrill working with so many brilliant and hardworking women over the past several months, and was even better seeing the fruits of our labor – a gathering of entrepreneurial, like-minded women looking to do more good in the world. I can’t wait to see where we go next! If you are in the Boston area, and would like to join the group, here’s the link to our Facebook group (4500 women strong!) We have a full season of events planned, and we have more in the works! Well! Here’s something a little different! 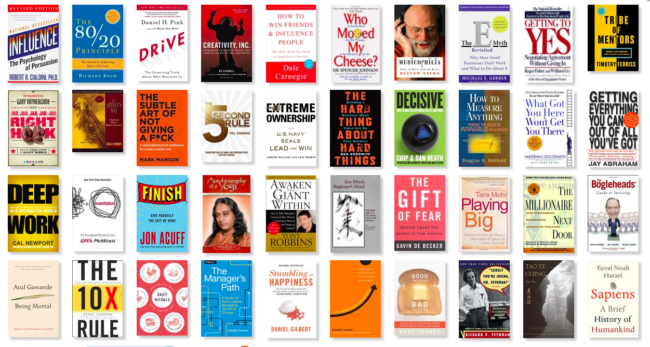 In the past few months of growing my coaching business, I’ve been doing a lot of reading. There are a few subjects that I’m particularly passionate about: startups and entrepreneurship, hearing stories of fellow female founders, and learning about the self-care rituals and daily habits of people who are successful at business. So here’s my first little interview here on the Second Lunch! 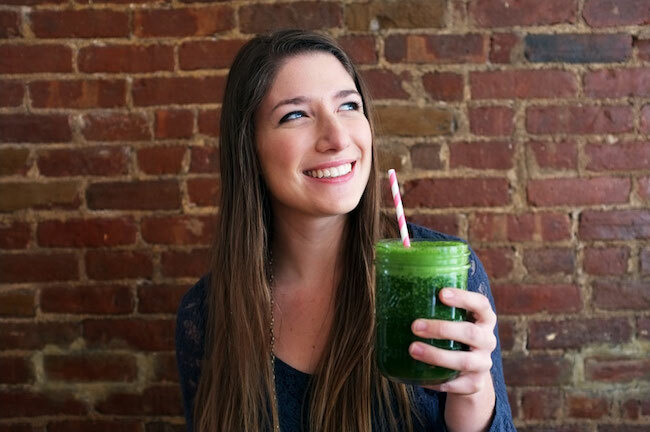 Jenna Tanenbaum is the founder of Green Blender, a green smoothie kit delivery service based out of New York (with deliveries expanding across the country). Before starting her own company, she most recently worked at the fitness startup ClassPass, and is a fellow FitFluential ambassador. For full disclosure, I asked Jenna for the interview after trying a free week of Green Blender so yes, I got a free box of organic vegetables and goodies to blend and taste, and the picture below is of one of the smoothies that I tried. Each box has ingredients for a weeks’ worth of smoothies for two people (or one hungry one – five different flavors. If you are interested in trying your own box, click this link (or code: LUNCH) and a 20% off coupon will automatically be applied to your first order! Before getting down to chatting, I got a little virtual tour of the test kitchen, and got a sneak peek at some new featured ingredients – mandarinquats! One of the pleasant surprises I had trying the service was the variety of fruit and ingredients. Not just your average bananas and spinach! So.. Green blender. You had been working in startups for a while. How did you hit on your big idea? Were you just testing things out? Did you know you wanted to work on a startup? Or were you just making smoothies one day and…? Yeah, I think it just kind of came together organically, no pun intended! My boyfriend and I were living together, and he was in between jobs, and I was working at ClassPass at the time, and I got a Vitamix. I was really into making smoothies, and as you know I’m just really a big health and wellness freak. And he just isn’t at all. He’s not interested in, like.. working out, he’s not interested in, you know, eating healthy. He’s just not into it. So I started making smoothies, and giving him some smoothie in the morning, just as he’s waking up. And he started realizing that starting the day with something healthy he started changing the tone of his day, choosing healthier lunch options, and dinner options. And feeling like he had more energy. And wanting to do healthier things just because he started doing healthier things. It’s the power of inertia. Yeah! I just revamped my morning routine, and I feel it. Like, if I start with one good decision, it takes one thing… and everything else is better. 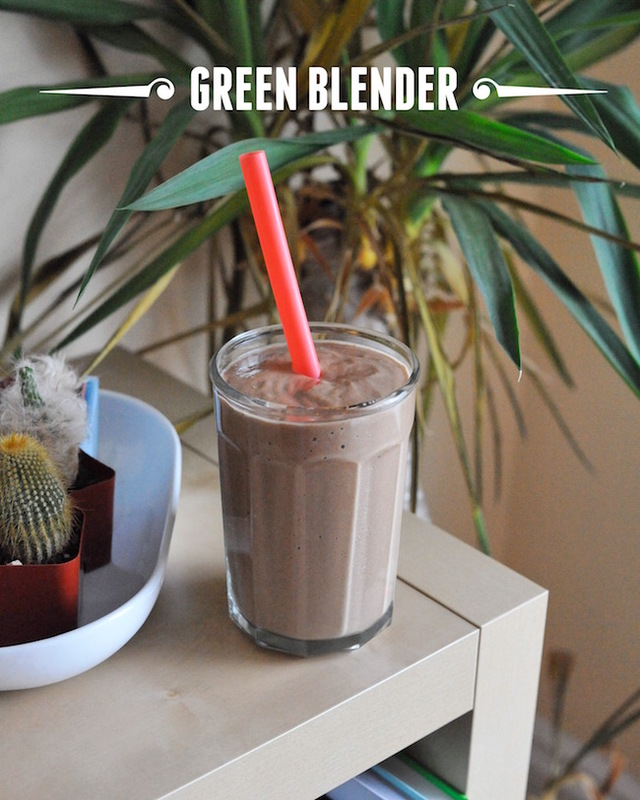 Yeah, and that’s kind of the whole philosophy of Green Blender – it’s this idea of positive nutrition, which is all about incorporating really healthy, delicious foods into your day, and not really fixating on the bad foods that you may be eating at this moment. Because if you just focus on enjoying, you know, a mandarinquat, or something very cool and unique, and making an experience out of the food that you are eating, there’s just not going to be enough room for the bad stuff, and you are going to just start craving healthier things. It’s kind of a cyclical thing. So I think, as we started exploring this idea of Green Blender, it kind of came out of this frustration that I have with the health and wellness scene, where when you are ready to make a healthy change – there’s two things that happen to you – you go through this extreme set of extremisms. Which you are like.. I have to do a three day juice cleanse, or, I have to do these crazy extreme things for a short period of time. And then you start having this guilty list of “no foods” and you get fixated on that, and it’s this horrible relationship with your food and how you eat. It’s like.. a lifetime of healthiness is what we are trying to promote. And small healthy changes are really important. So we wanted to create a company that kind of encompasses that. So I assume you are drinking your own smoothies every day, but what kind of things are you yourself doing – so I’m an entrepreneur, and I know I have to do all kinds of things to keep myself going and on top of my game. And you’ve now done this for a little bit…what does your self care regimen look like right now? Yeah. I think that it ebbs and flows. Especially in the beginning it’s like an all encompassing thing, and just because you work in a health and wellness company doesn’t mean that you are healthy! I’m a really big runner. I like to take time to kind of clear my head and run by myself through the park. This year I started to read physical books again. All my fiction is going to be physical books. Just so I have some non-screen time. And some time to just sit and not think about work. Of course I listen to tons of like business books and self help books, but I usually listen to those while I’m running, because I’m an efficiency freak! I decided to carve out some time that’s not thinking about the business and not doing self-improvement. Just kind of BEING. This is my next one. Oh, it’s upside down. Here: ‘On the Move’ – Oliver Sacks? It’s really good! Oh is it? I haven’t read it. That’s awesome. So I think that, part of my self care regimen is also making sure that it fits into my day. So in the morning I don’t feel overwhelmed. Because sometimes I go into these sprees where I’m turning the self care regimen into like… checking things off the list, so I’m like okay, I’m waking up, I’m drinking a glass of water, I’m doing 10 minutes of yoga, I’m doing 10 minutes of meditation. I’m journaling in the morning. And then it’s like… you are waking up too early! It’s stressing you out just to get these things done! And you’re supposed to just, you know, you’re supposed to have fun with that part of your life! So I kind of make sure that I – it’s the same idea as Green Blender – I just make small iterative changes in my day and life, to allow this to fit into a holistic view of my life. I’m a big workaholic, so it’s easy to backslide into like emailing for 12 hours a day. But I make sure I wake up and I drink a glass of water. And on my commute to work, I meditate. I use Headspace for ten minutes. Yeah, I love it! But like, the thing is, I was really into Headspace, and I was trying to do it before I was commuting, before I was going to work, and then I’d feel guilty when I skipped it. And then I was like…just do it on the train! It’s like… not a big deal. You are already sitting there for 10 minutes. Yeah. There’s also the idea too.. once I realized it didn’t have to be a perfect session… like I didn’t have to block out the entire world? I could just [breathe] sit, and BE? You know? Yeah.. the train meditating. That’s actually a really good idea. … that would be nice! It’s better than not doing it at all! So that’s what I try to do. I try to .. I definitely take time for myself, and I do it in ways that are like meditating, drinking enough water, and running. So I see you’ve been doing a lot of speed work. Do you have a particular goal you are training for right now? I really want to get my half marathon time to under an hour and thirty minutes. So.. that’s a reach goal! I think my PR of a half marathon is like.. an hour and forty minutes? Yeah, that’s a big jump! I have to up my speed by a minute almost per mile. But that’s okay! I can do it! Yeah! I am a turtle runner. But my thing is running.. I like running distances, and I do triathlons. So I’ve been sort of expanding the distance? But I..recently.. as I started down this entrepreneurial journey – um.. came to realize that my focus on endurance is actually kind of a [personal] acceptance of mediocrity? So… now.. because I can do speed work. There’s no reason why I can’t. Because.. it’s hard, so… I should actually focus on it! I know! And speed-work – that’s why I joined the track club. It’s kind of something you need to do with someone with a stopwatch watching you? So you are not like.. okay, well I did 3×800’s and not 4×800’s… that’s good enough. You need that peer pressure to like push you through. ‘Cause that last lap is like..where the work is actually done. You know? But, yeah. I have like a love hate – I mean I love it – but it is painful! (We both laugh). Alright, so maybe one more question about smoothies – so you have all of these unique recipes, and you said you are doing new ones every single day which is terrifying to me because I write recipes and it takes forever to hit something great. What is your favorite right now? And before you answer that, I’ll liked the peanut butter banana with jicama. Maybe because it was the most dessert-like, but was really good! And like, jicama? Who knew? I know! When I found the jicama option in smoothies, it just opened up my whole world. And right now I’m testing with sunchokes – which is this similar consistency, but people don’t think about adding sunchokes or jicama or things like that in smoothies. Which, you know, I want it to be exploratory. I mean I use a lot of yellow squashes and zucchinis. I call it “healthy fillers” because they don’t really taste like anything, and they’ll cut down on the sugar. So instead of putting two bananas in something, you just put a yellow squash and a banana. So, I think right now – last week we had a creamy orange carrot smoothie and it was delicious – it was pretty simple – but it was really good. It had like carrots, oranges, some cashews, goji berry, and coconut water. Ooh that’s good! I do a similar one – with carrot, orange, cashew, ginger and lime. Mmm! That’s good! That sounds really good. Um, so…all things considered, you have healthy living down pretty well. But is there one self care ritual that you know you should be doing more of? Or could be doing a little bit better with? That you are maybe starting to think about or would like to pursue? Yeah, I think I want to start journaling more. I feel like I need.. so I’m working on meditation. Which helps you kind of like.. not tame the mind, but just be more aware of your mind? And I think that if you pair that with like day journaling, you can kind of start thinking about – articulate more of the things you are feeling. In a way that’s like easy to digest. And kind of just organize it into one sheet of paper? So, that’s what I would like to work on. You should do it! So, I have a moleskin, and I do my.. I do morning pages? – my sister does those – she swears by them. It’s.. you know what, for me? I (chuckles).. it lets me put a lot of anxiety out onto the page. So I like.. don’t even have to deal with it during my day. I know it’s there, and I’m like ready to go. And I also turn it into my to-do list. And I’ll like, tape little things in there during the day. Or like, receipts, or if I’m working on a project… so.. yeah. You should try it! Yeah, I definitely have tried it, and when I do start morning pages or some sort of journaling, for like five minutes straight or something like that I feel way better, and I feel clearer. But it’s one of those things, like…how many things do I have to check off my list in the morning before I walk out the door? It’s about finding balance. But that’s definitely something I want to incorporate more into my daily routine. Okay, so one last question… do you.. I’m cracking myself up.. I don’t know why, this is not that funny.. but do you ever wake up and think – I don’t want a green smoothie, I just want to go to Shake Shack and get a concrete? Yeah! I mean, that’s like..Yes! First of all, if I don’t have my Green Blender box – there’s no way I’m making a smoothie. Cause it’s too much work to think about all of the things like.. okay but what am I going to make today? And that just opens up a whole can of worms, and you have to go get the ingredients, think about it, pull everything out, it’s just not something that I’m interested in doing. I’m definitely someone that needs to plan. And then once I have the plan and everything down, I’ll follow it to the T. But if I don’t, then I’m not going to. I mean, I feel like I’ve struggled a lot with relationships with food and feeling guilty with what you are eating. Like, oh.. I was really strict paleo for a long time, and feeling really guilty just going out to dinner and having pasta – I didn’t eat pasta for two years straight, which is SAD! And should never happen! So I’m really focusing on going with the flow – and you know, making smoothies every morning. But if I don’t, and I want to have a croissant, I can do that! And allowing myself to feel fine about that. It’s hard! I mean I think, especially, I mean, I grew up, like, I wasn’t always on a diet, but I was just always around people who were just so restrictive, or it was just always on people’s minds – and it’s hard to shake that. Yeah, and I think that was like.. food and eating, and if I was eating properly or “not properly”, it was like my whole life from like.. I don’t even – like.. eleven? Or ten years old? Until like.. last year, when I started the company as a realization of like, you know, I’m just like, I like doing extremes, and I think that’s why I do endurance running and things like that, ‘cause, I like to stay on a regimen and I like to put myself through hell [we both crack up], and I like to know exactly what I need to do, but that kind of comes at a price when you are dealing with food because it’s like you kind of give up some experiences or you don’t feel the experiences fully when you are feeling guilty that you are eating a non-paleo cake, or whatever. So that’s something that I struggle with, and it’s something that I try to definitely work on, to just like, shed the guilt around the food. Well, thank you for sharing that. No, no.. I mean, that’s tough. And that’s, I mean, maybe that’s why a lot of us get into the food and fitness industry in general? We’re kind of sort of trying to find that balance? Yeah, I think so. I mean it’s hard to, I mean, you can go, it’s like a balance always, and it’s annoying when people say it’s “moderation and balance” whatever, but because you can go either way – you can go to the extreme, of like extreme clean eating – or you can go the other way, of just eating junk food. And it’s really like a balance, and you really have – for me at least, I have to really keep myself in check. To be like.. it’s okay to have some pizza! It’s okay to you know, it’s okay to want to eat clean, and it’s okay to have ice cream. Right. That’s why, I don’t know, I like the idea of Green Blender, because you start the day, right – you start with the good decision. And then if you want to make some bad decisions later, or not even “bad” decisions – if you want to make decisions that don’t necessarily support your health in the most optimum way – that’s, that’s fine. But you have that good thing to start though. Woo! That was fun! Thank you, Jenna! If you are interested in trying out Green Blender, click this link or use the code “LUNCH” for a 20% discount on your first box! Did you like this interview? If there are any awesome entrepreneurs you know who I should meet, please let me know in the comments, or send me an email! I love meeting new people, learning from them, and would love to help share their stories!